Telecom system have widely application characteristic, especially use on outdoor environment therefore cause repair and maintain system more difficult. 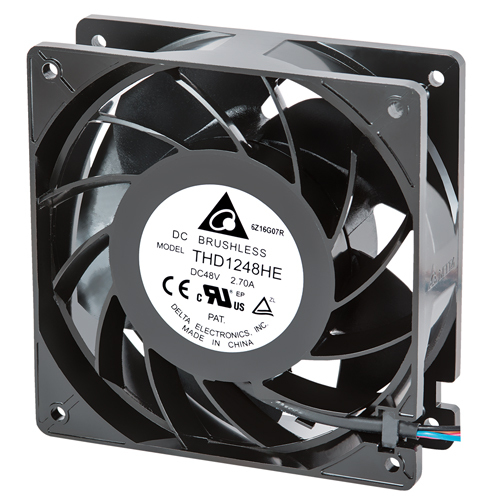 Delta offer high reliability, long life, IP protection of Telecom fan to satisfy Telecom customer. 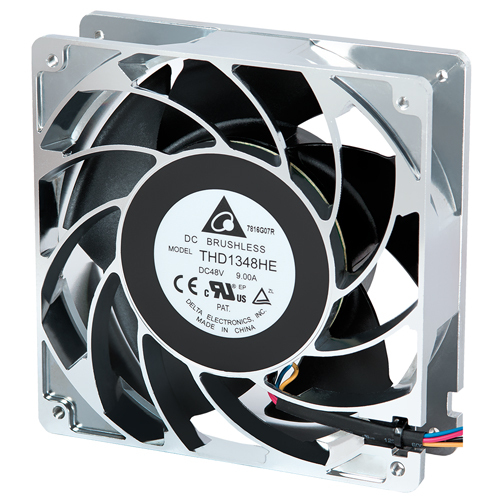 Next generation Bionic blade structure that provide excellent PQ performance and low noise level to meet customer target of reduce 3~5dB-A at the same system air flow. 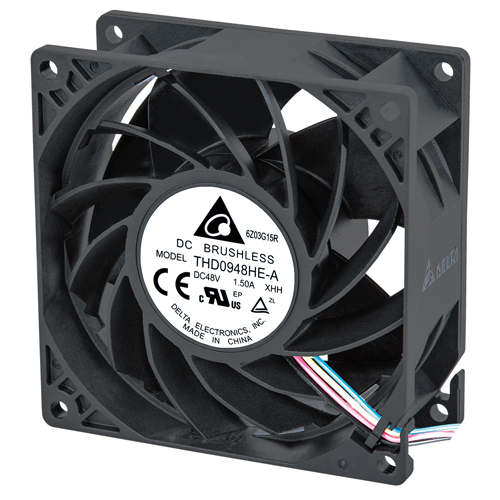 Integrate advanced Motor Driving Tech and structure to provide highest Fan efficiency that beyond industry standard. Simulation Skill of Multiple blade section corresponding with system boundary condition can saving more make mockup sample and test Fan performance time and cost. Extensive R&D reduce noise experience can assist customers more efficiently adjust the system and improve competitive advantage. 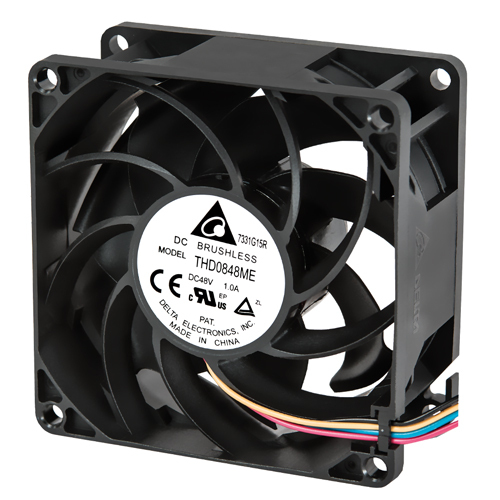 Over 25 years fan produce experience and key parts and process inside integration can provide customer Quality and Delivery and Technology at same time. Delta has strong thermal and design engineering experience and integrated manufacture capability to provide customer total thermal Solution, create win-win situation with customer. That is why Delta can assist customer successfully. 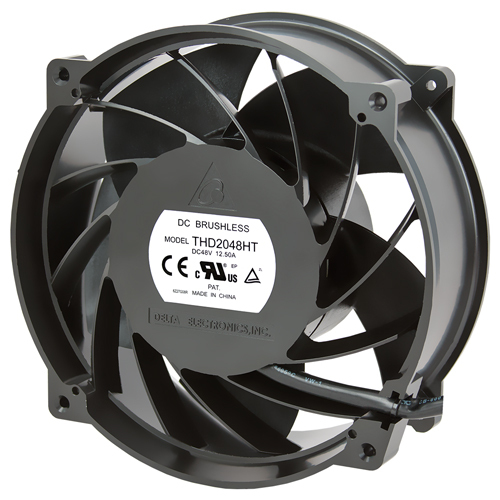 The Telecom Fan Recommend List and THD series with excellence design. Next generation bionic blade and structure design to assist telecom fan meet higher operating point and low noise and higher efficiency requirement. The recommended model list can be referred and selected by different size. Contact us now for more product information or sample requests.